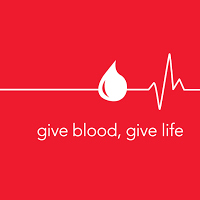 The Stanford Blood Center and the Santa Cruz Public Library will be co-hosting their annual blood drive at the Aptos Library on Saturday, 4/13. Schedule in advance or drop by when the Stanford Blood Center bloodmobile will be located in the Aptos Library parking lot. To schedule an appointment go to www.sbcdonor.org and use sponsor code 2557 or call (650) 723-7831. Heather Pereira at 427-7702 or Monica Doleshel at (650) 444-7000.